This item offers Free Domestic Shipping with purchase of $50 or more! 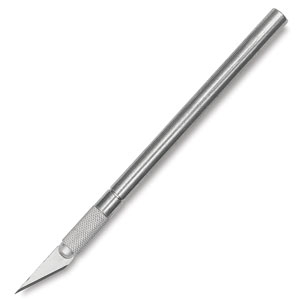 The 88-001 aluminum hobby handle can be used with No. 10, 11, 16, & 17 Hobby Blades. The four jaw machined chuck keeps the blade steady and centered and allows for quick blade replacement.